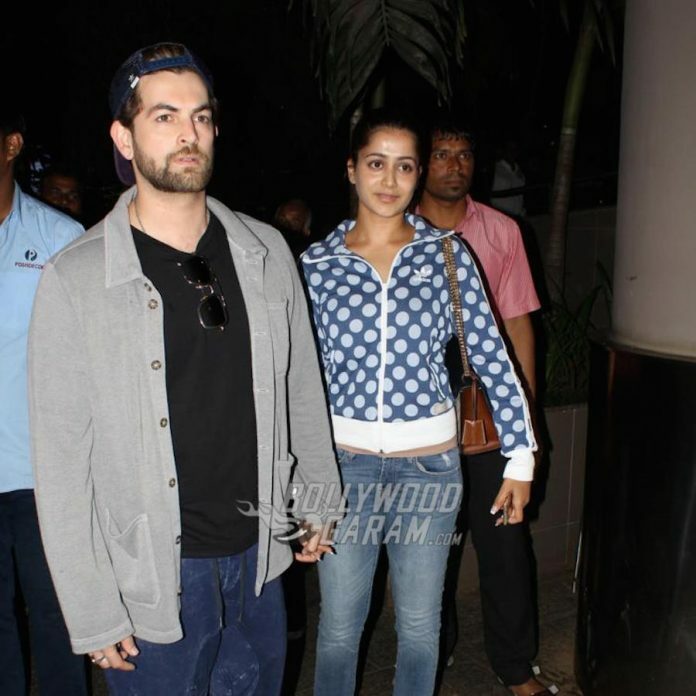 Neil Nitin Mukesh and Rukmini Sahay spotted at Mumbai airport - Photos! Home Actors Neil Nitin Mukesh and Rukmini Sahay spotted at Mumbai airport – Photos! 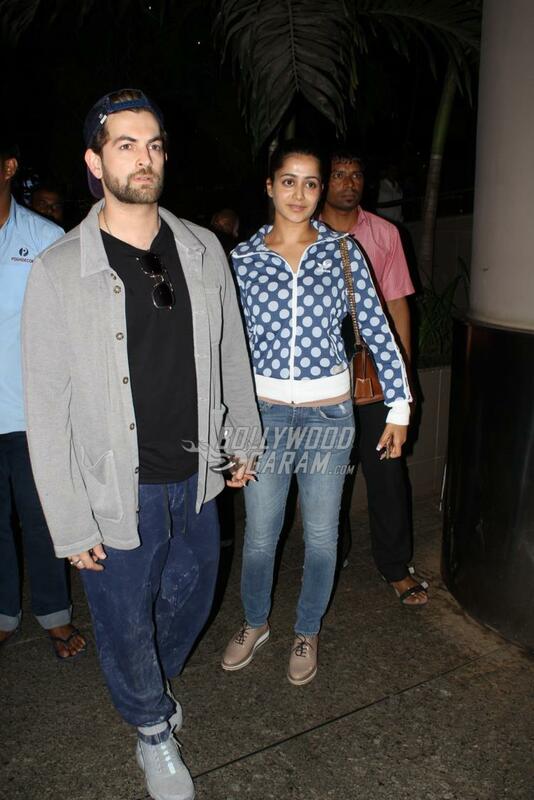 Neil Nitin Mukesh and Rukmini Sahay spotted at Mumbai airport – Photos! Neil Nitin Mukesh and wife Rukmini Sahay got married in a lavish wedding ceremony held at Jodhpur in February 2017. The actor became one of the few actors in Bollywood who opted for an arranged marriage. Since then, the two have been moving strong in their relationship. Neil and Rukmini were snapped at the airport in Mumbai on July 19, 2017. The couple looked great together and posed for the cameras. Nitin has been busy in recent times and is looking forward for the upcoming films Indu Sarkar and Golmaal Again. Indu Sarkar is an upcoming film which is written and co-produced by Madhur Bhandarkar. 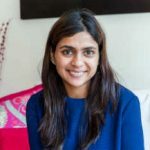 The film also stars Kirti Kulhari, Anupam Kher, Tota Roy Chowdhury and Supriya Vinod and is ready to be released in theatres on July 28, 2017. Nitin will also be seen in the Rohit Shetty helmed film Golmaal Again. This will be the first time the actor is joining the cast of the Golmaal series. The film is ready to be released in October 2017. Previous articleA Gentleman song Disco Disco shows sizzling chemistry between Sidharth & Jacqueline! Next articlePhotos - Lead actors promote Mubarakan on new comedy show, The Drama Company!